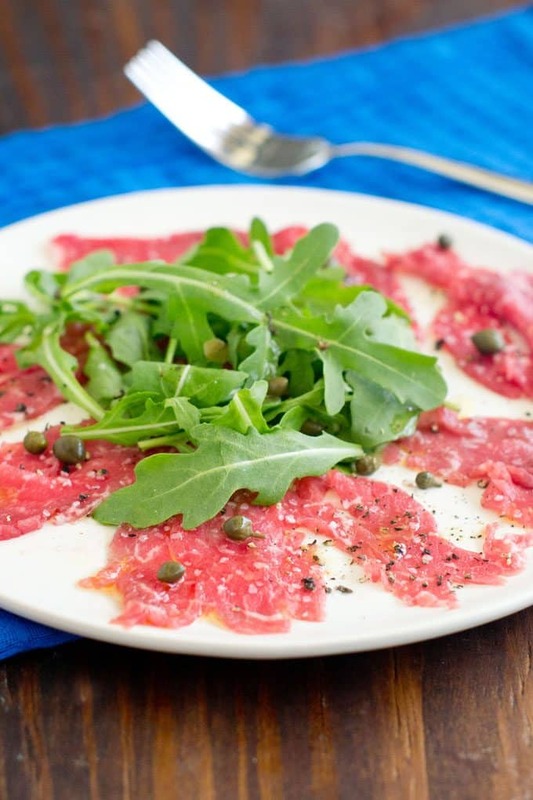 Beef carpaccio is an Italian dish centered around raw beef. Yes, that’s right, it’s raw! 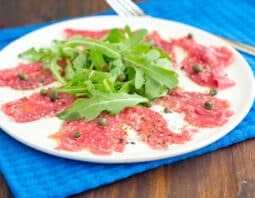 The first time I saw beef carpaccio I was very hesitant. 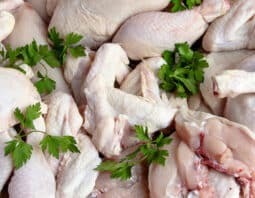 I’ve been told from a young age about health hazards of eating rare meat, let alone raw. 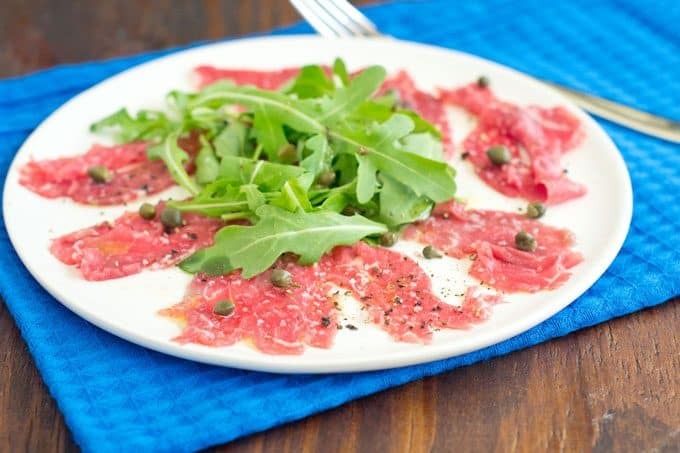 Have no fear my friends, beef carpaccio is exquisite and safe to eat because A) it is fresh and B) it is from one cut of meat and thus has less chance of contamination. 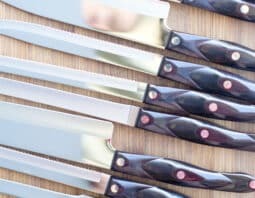 To make sure your carpaccio is safe to eat buy your beef tenderloin from a clean and credible butcher, tell the butcher what you plan to do with it and ask if the chosen meat will be suitable, and make the carpaccio on the same day you buy the meat. Do not save or eat any for leftovers. 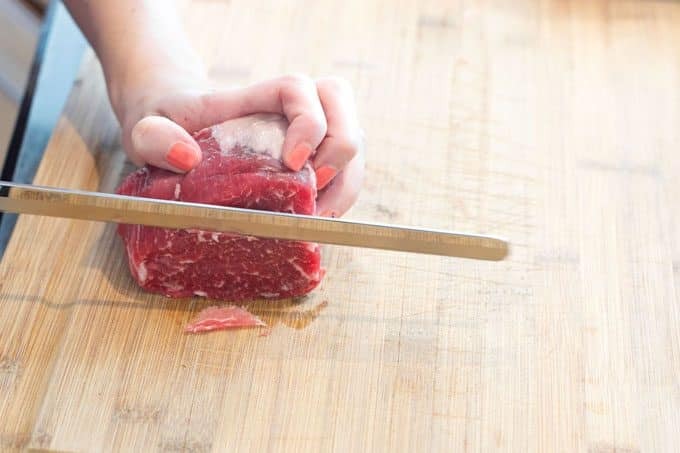 Place your beef tenderloin in the freezer to get it partially frozen. 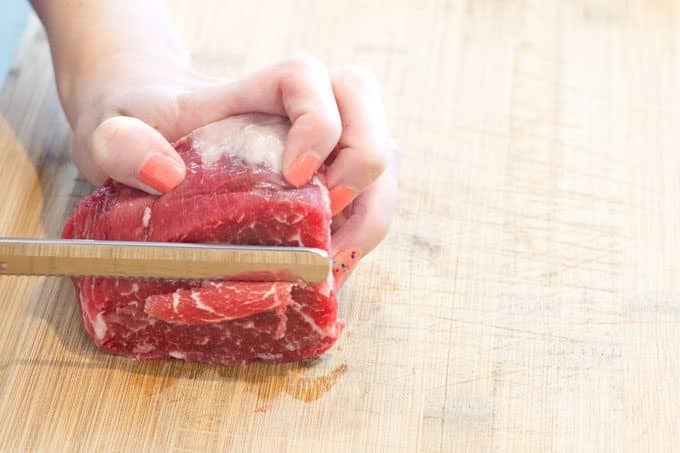 Meat is easier to cut thinly if it has been frozen in this way. Our meat took around two hours to freeze to that point but it can all depend on your freezer and how big of a cut you have. 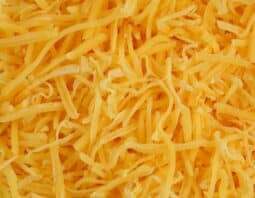 Ours was 1/3 lb. so it froze quite fast. You want it really really cold and frozen but not frozen solid. 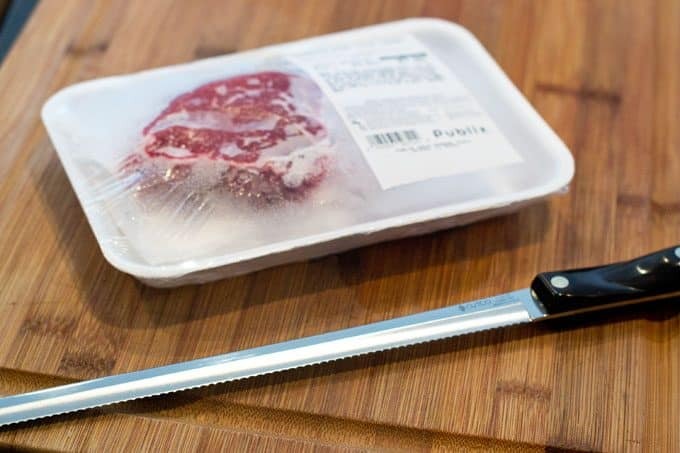 Once the beef is frozen use your slicer to cut extremely thin pieces of meat. When you hold the slice up you should almost be able to look through it. 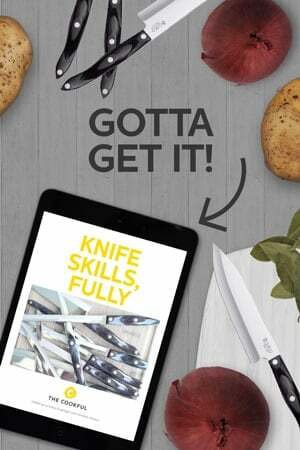 Since the slicer has serrated edges you need to move your knife back and first to cut. Place your sliced beef on a cool plate. And I don’t mean like awesome, cool, I mean like, put it in the fridge and bring to a lower temperature cool. 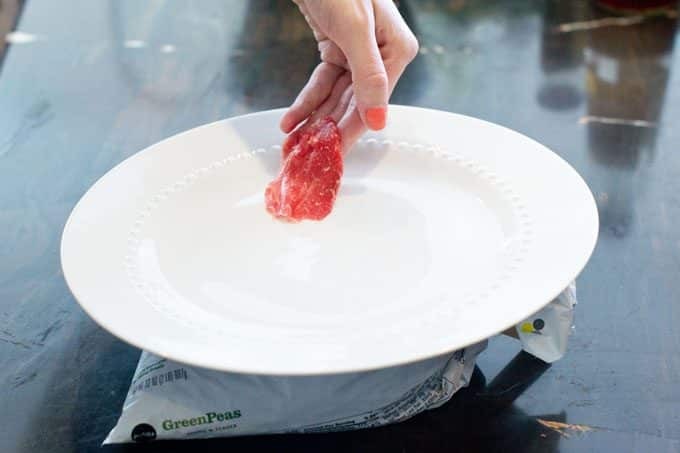 We’ve popped a bag of frozen peas under our plate to keep it cold while we work. Once all of your beef slices are on your cold plate, it’s time to add the garnishes. Beef carpaccio is all about the garnishes. Add capers, sea salt, ground pepper, arugula and a small drizzle of oil and red wine vinegar. Eat immediately. I mean, how could you even resist??? Freeze beef tenderloin until very firm but not rock solid, about 1-2 hours. While the beef is in the freezer place the plates in the fridge to chill. 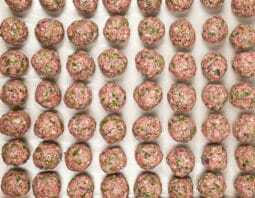 Once the beef is firm slice very thinly against the grain and place slices on chilled plates. Top each serving with a handful of arugula and capers. 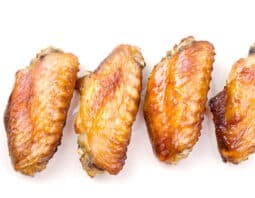 Drizzle with vinegar and olive oil and add a pinch of freshly cracked black pepper and sea salt. Serve immediately.